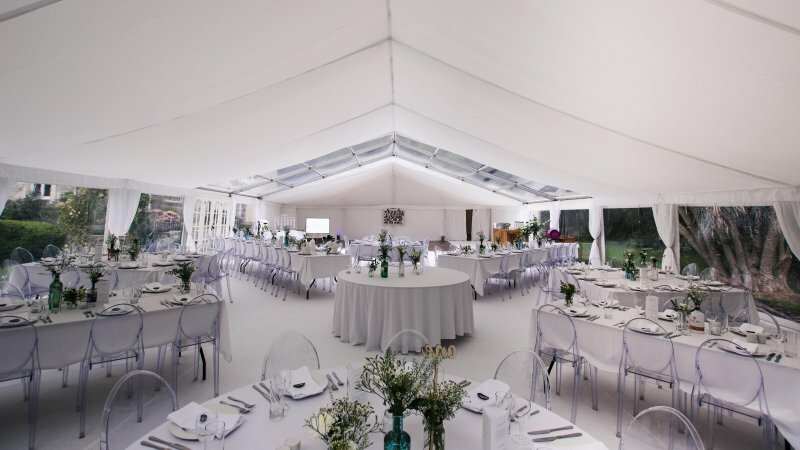 Here we'll give you a brief overview of all we have to offer, from the marquees to the accessories that bring them to life. If you like to be in control then you can measure your site and see what will fit from the list of items below. 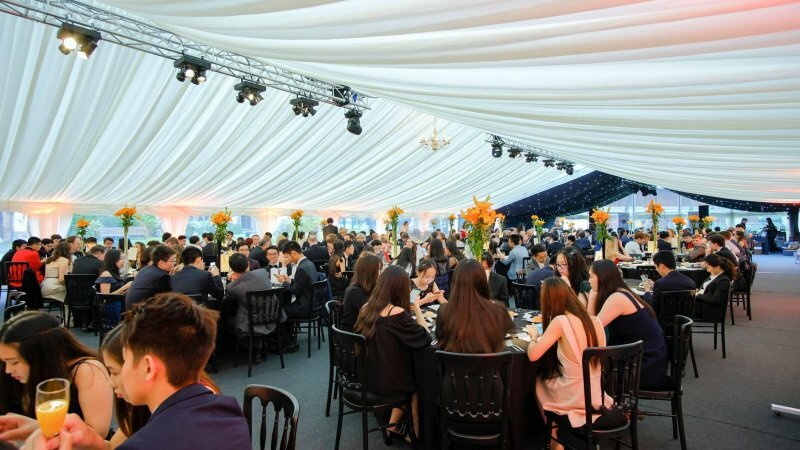 Our UK manufactured clearspan marquees are manufactured to ISO9001 standards, ensuring you get the highest quality equipment with high wind load ratings. 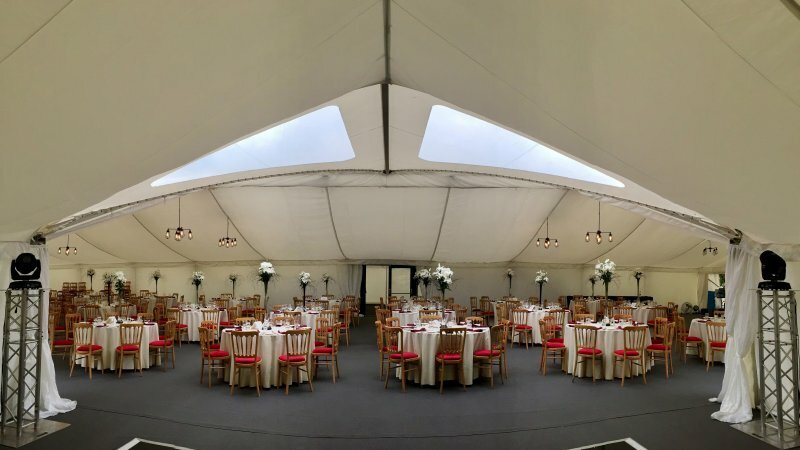 We offer widths of 3m, 6m, 9m, 12m and 15m, the length of your marquee is then able to go up in increments of 3m (e.g 30m x 15m). 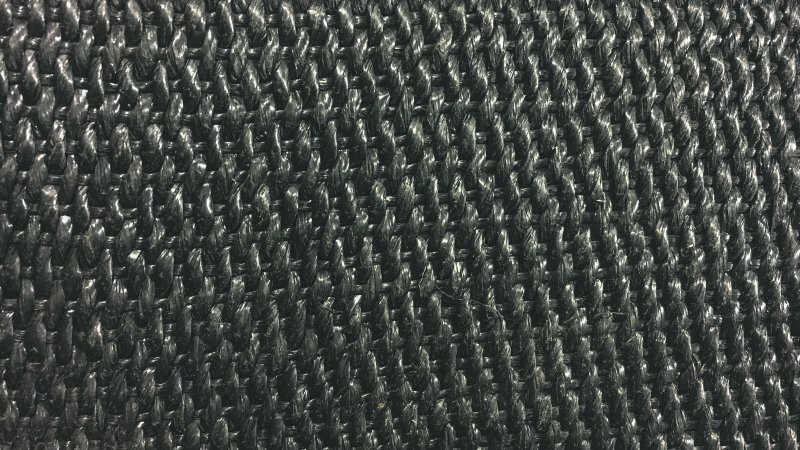 All can be equipped with matting or a solid floor & carpet. 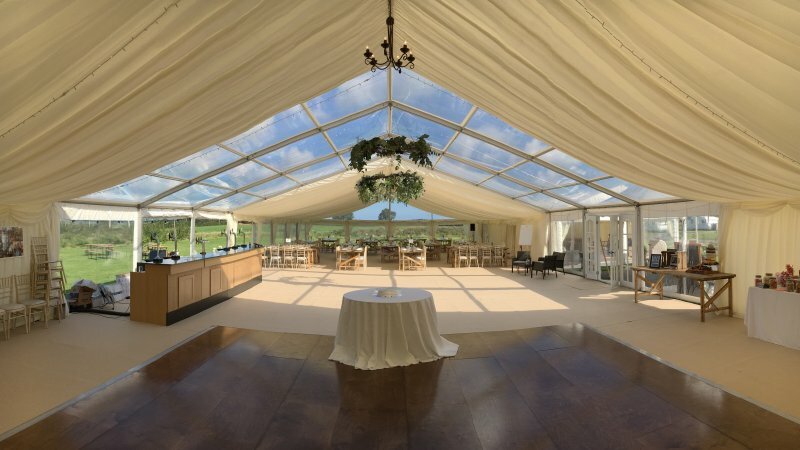 A Pagoda creates the ideal solution for reception areas as they are ornate in appearance and have very few legs compared to a clearspan marquee. 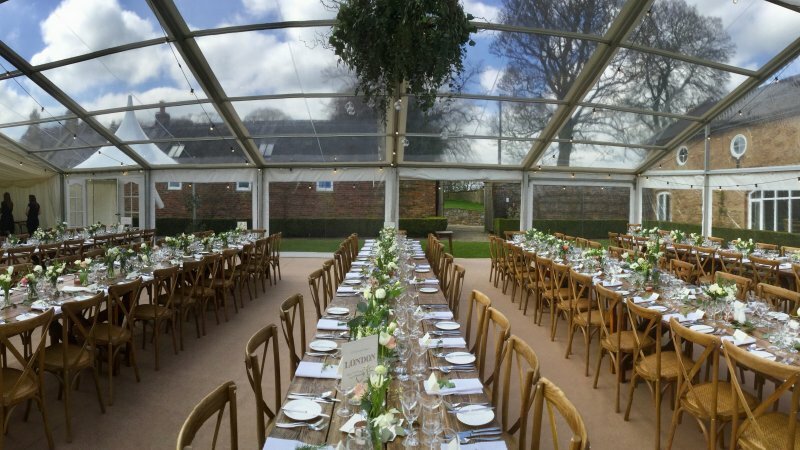 They can also be joined together by the use of integrated rain gutters, which enables the formation of multiple configurations enhancing the visual impact of any event whatever the occasion. 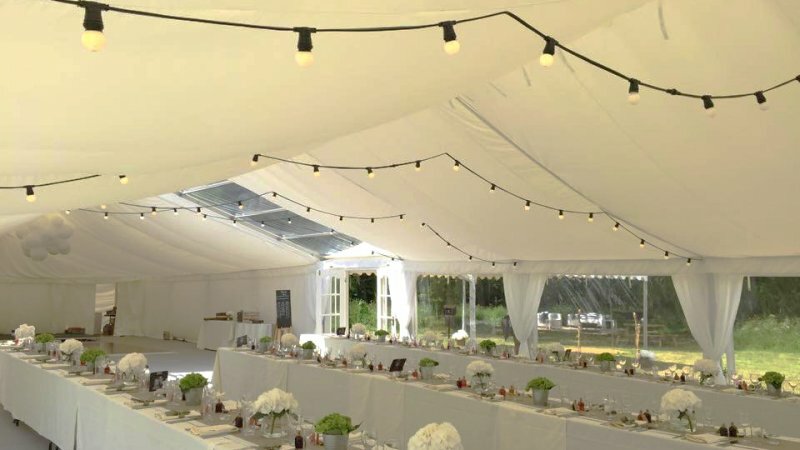 These marquees are fundamentally quite similar to our traditional canvas marquees, but offer a more stylish twist with their lovely contoured valances and swooping rooflines. 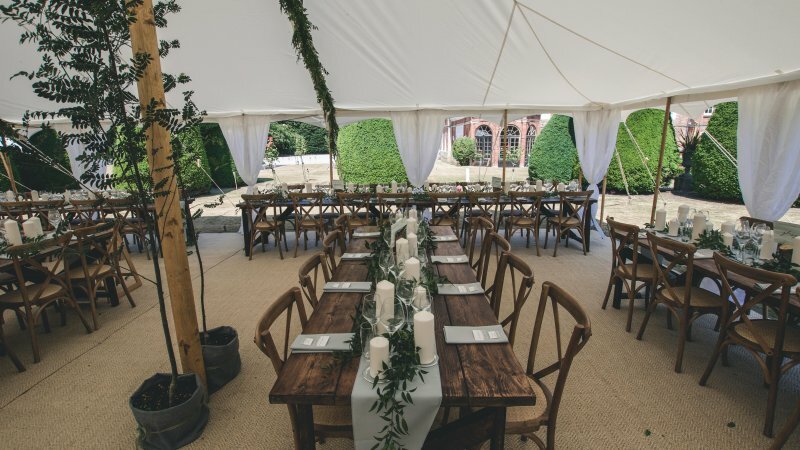 The wooden poles are oiled using Danish oil and Hempex ropes continue the natural theme externally. 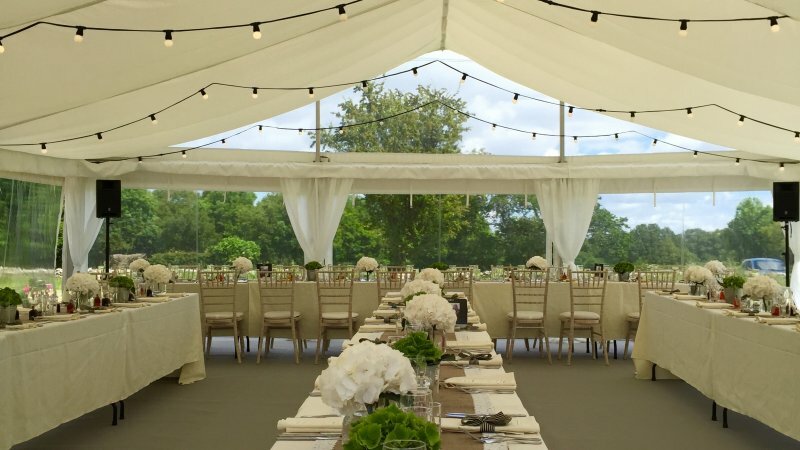 The perfect marquee for that summer wedding in the country. 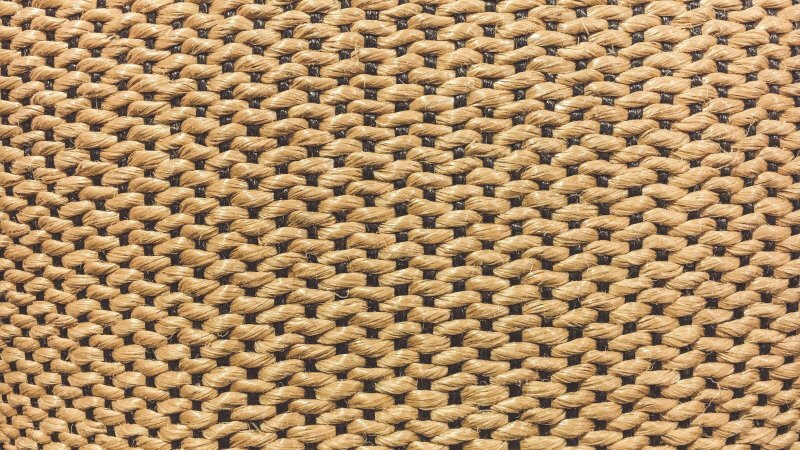 Available in both canvas or textured PVC. 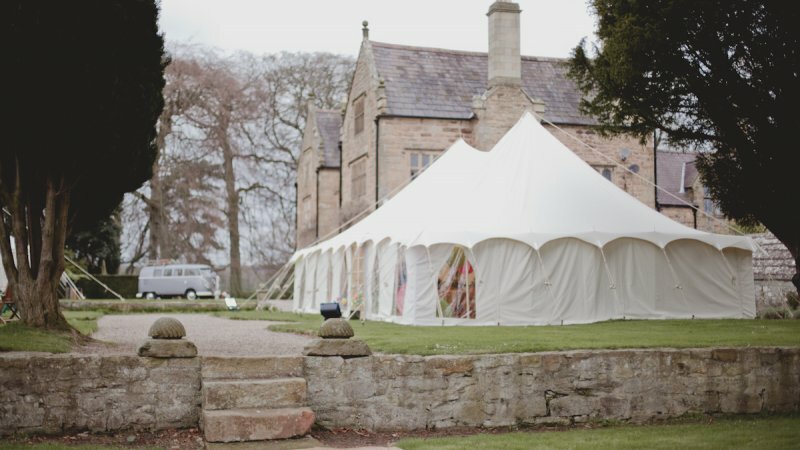 We pride ourselves on being one of the very few companies in the UK who can provide traditional canvas pole marquees. 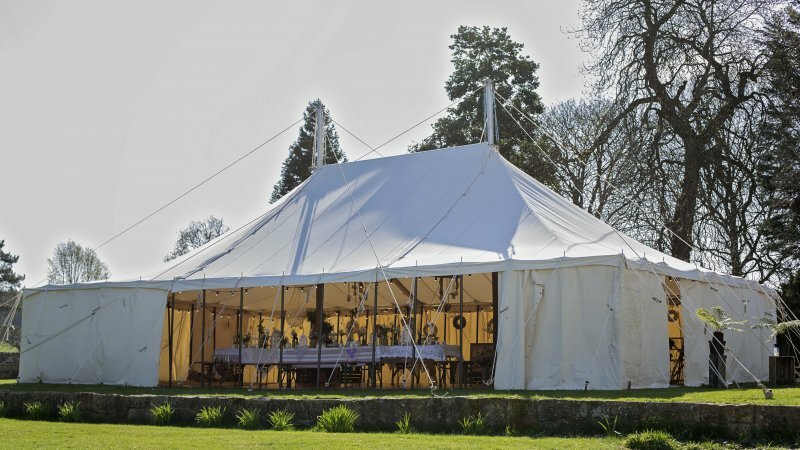 Canvas marquees offer a real air of tradition, perfect for that village fete or country fair. 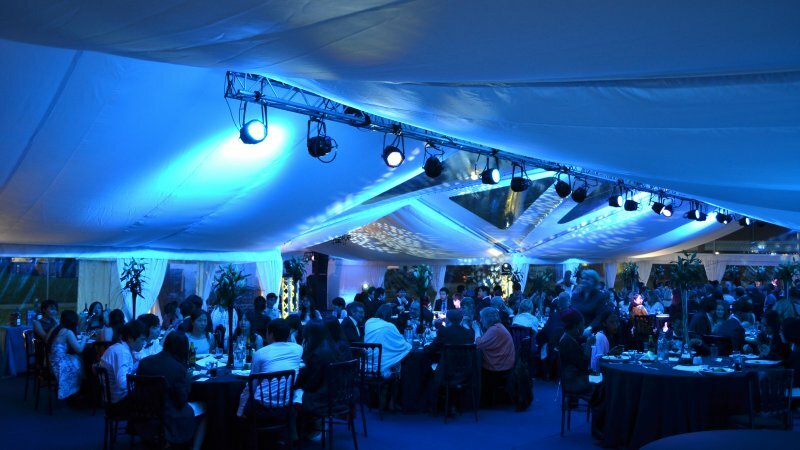 Again, we offer marquees in an array of different shapes and sizes with each having its own benefits and applications. 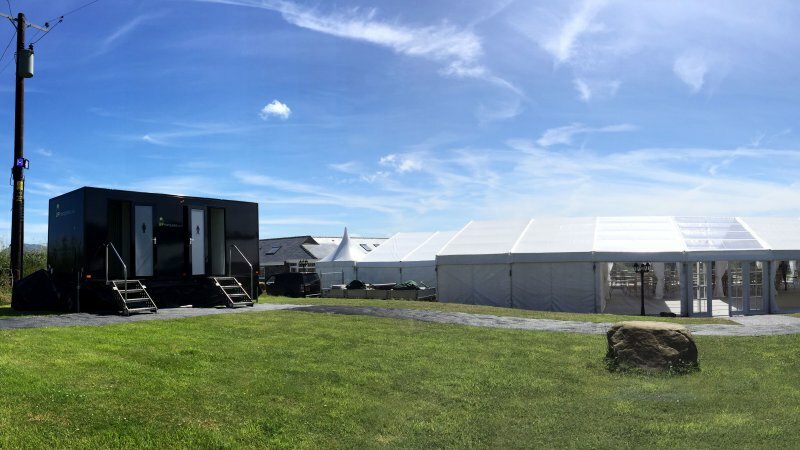 Each year we invest in new equipment to give our customers the ability to fine tune the look of their event. 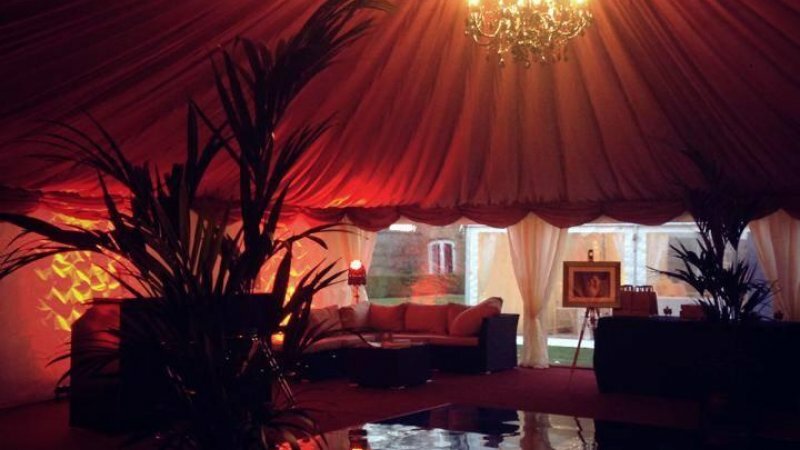 We understand that the devil is in the detail, why not let our range of exclusive event accessories help give you that edge. 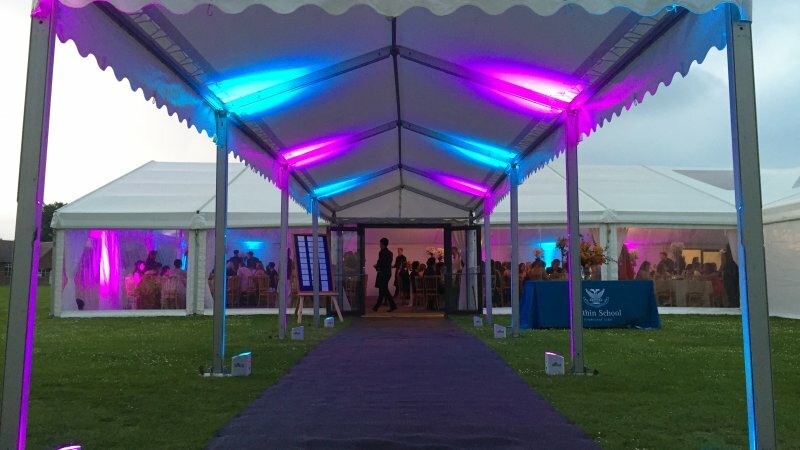 Lighting is a very important factor in determining the look of your marquee and we have effects to suit all sorts of occasions. 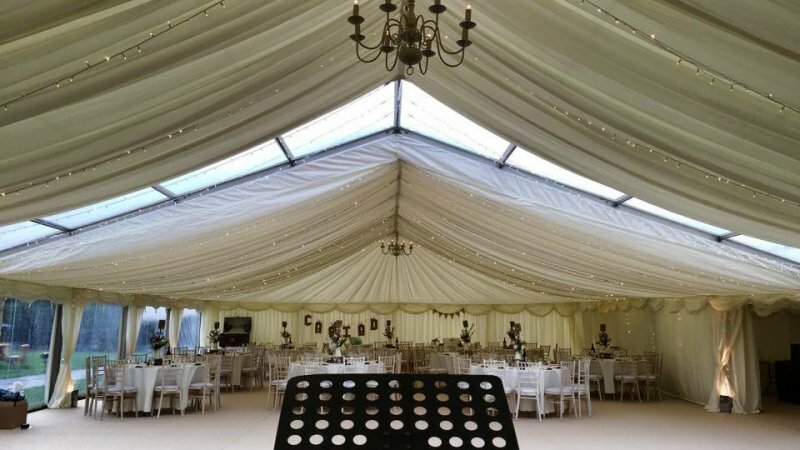 From full truss mounted lighting rigs to cheap and cheerful LED's, we can shed light on any situation. 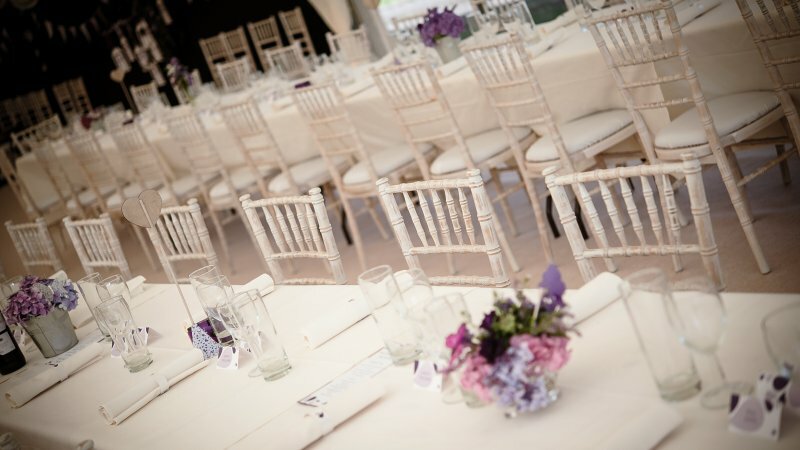 When you need to put bums on seats, the style of chair you choose can have an impact on the look of your marquee. We carry stock of the most popular styles available, however anything out of the ordinary can be obtained. 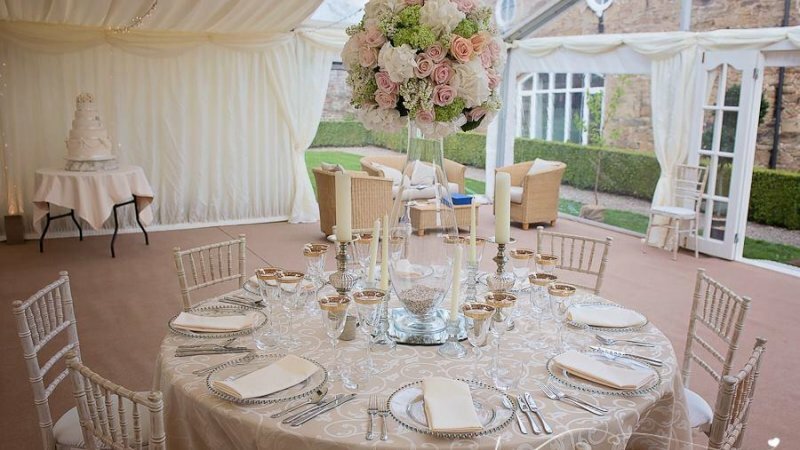 We stock a variety of items to enable you to arrange your table plan perfectly. 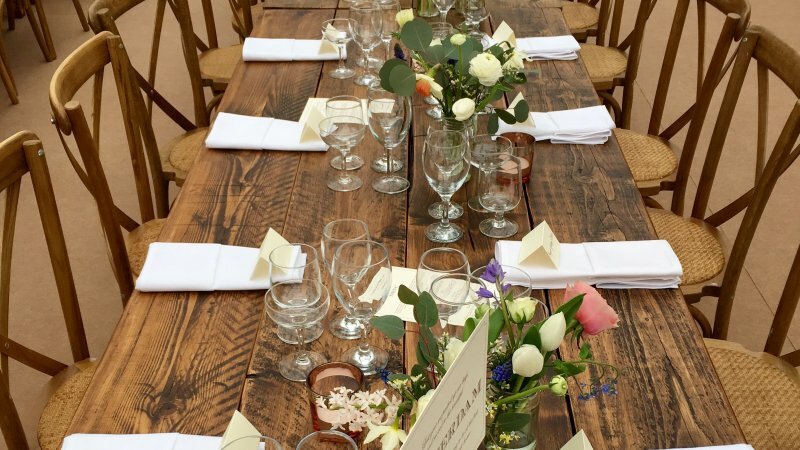 For the banquet style layout our tongue & groove trestle tables or hand-made reclaimed wood banquet tables are perfect for the job, should the event be more formal then we have a wide range of round tables to suit most arrangements. When its time to get down, you need a surface suitable to bust that groove. 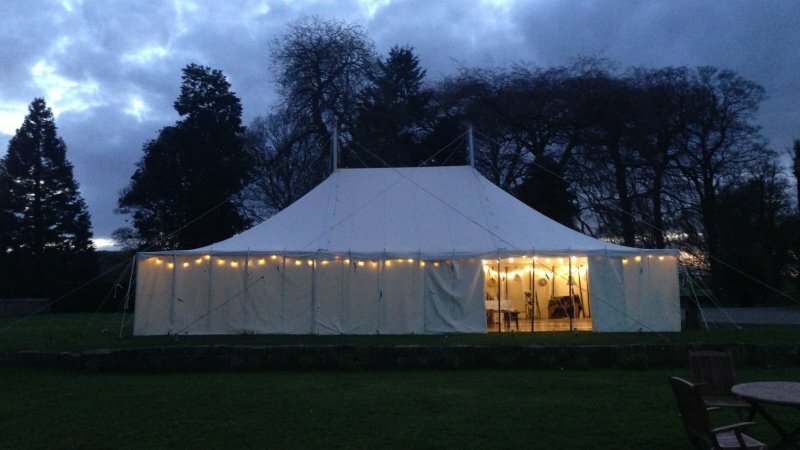 Available in 16ft, 20ft and 24ft square. 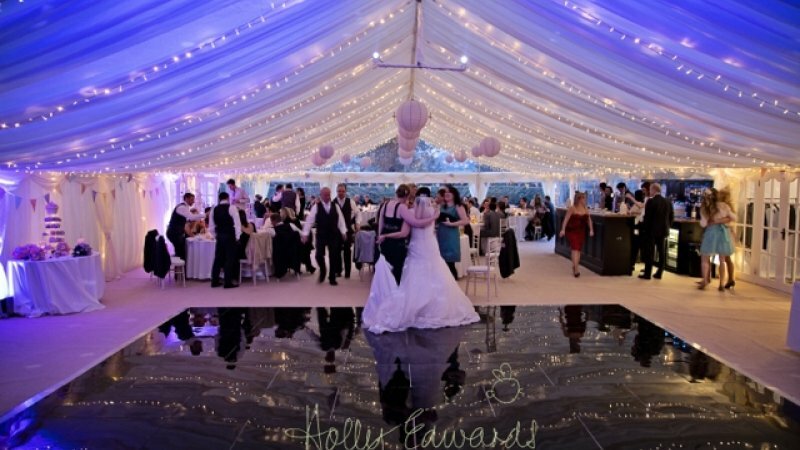 All dance-floors come with polished aluminium edging, funky beats not included. 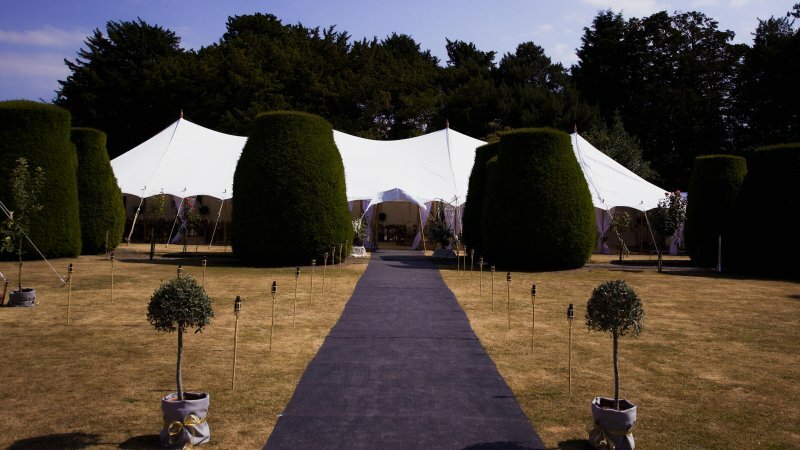 To turn your event into that extra special something, why not incorporate a decorative lining into your designs? 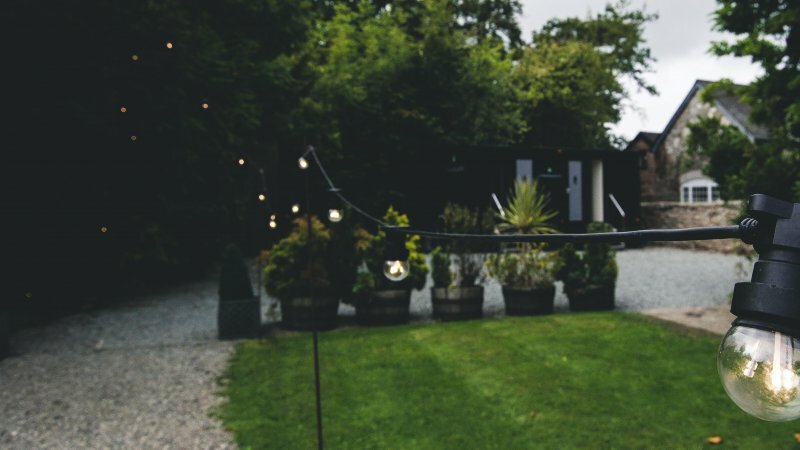 These finishing touches can be included in a variety of colours and are perfect for creating a mood or injecting a bit of glamour into your event. 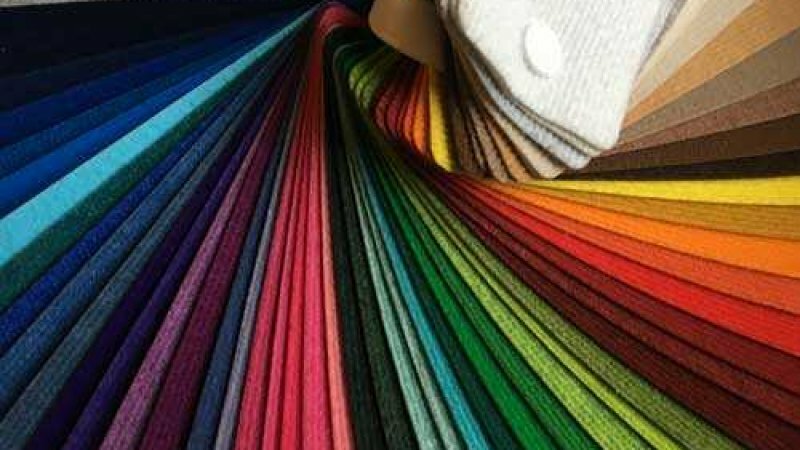 Why not bring that interior to life with a carpet from our selection of natural or vibrant colours. 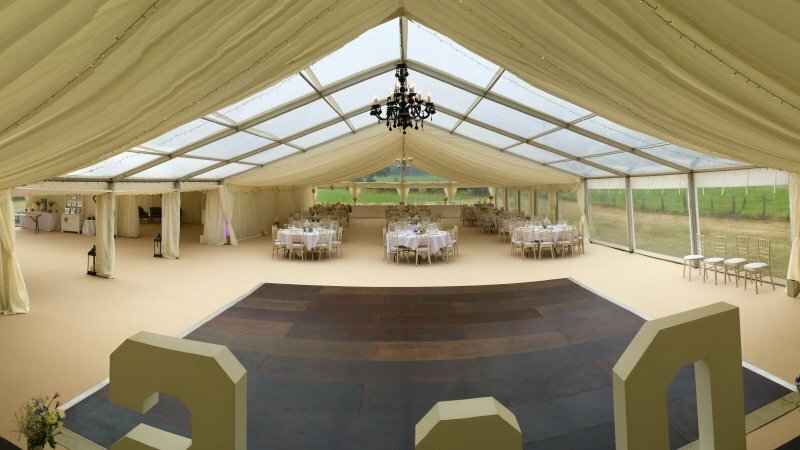 Used in conjunction with a hard floor we can create a seamless carpeted area tailored to any event. 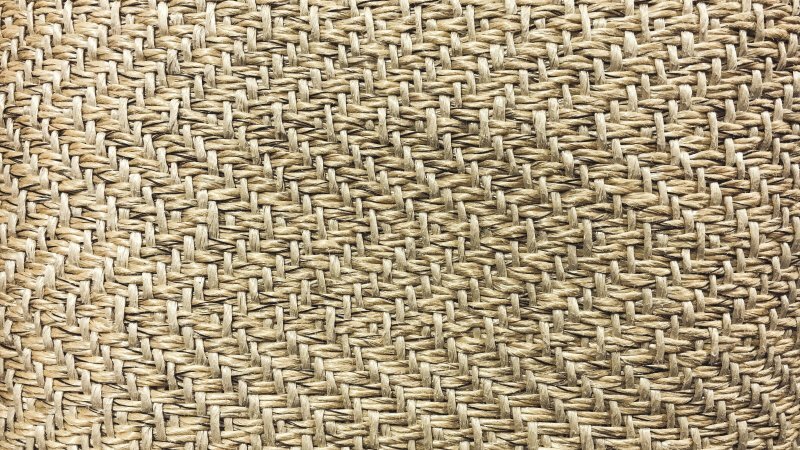 All carpets can be ordered with a foam backing for an extra level of comfort. 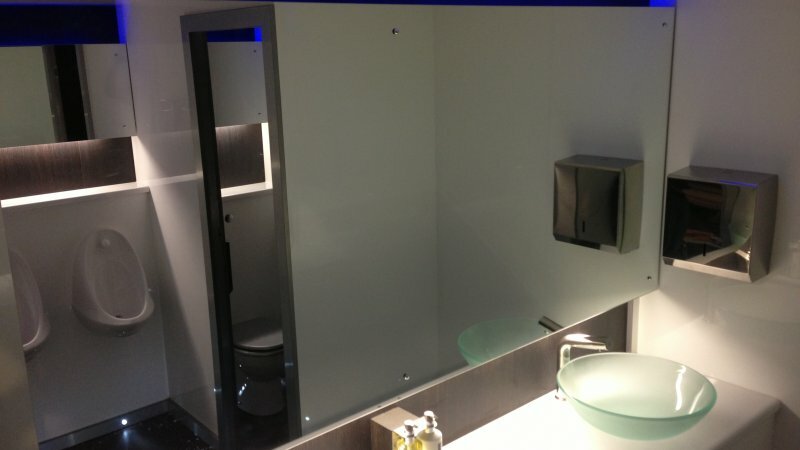 We have our own luxury toilet units that have been built to the highest specification possible. The manufacturer has even assured us that there are no others quite like them the country! 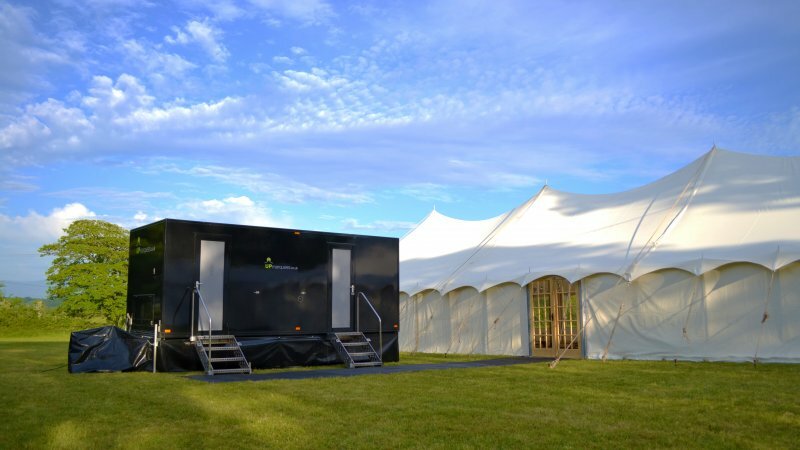 Inform us of your favourite CD / artist and we will even have that music playing for you during the event within the toilets. 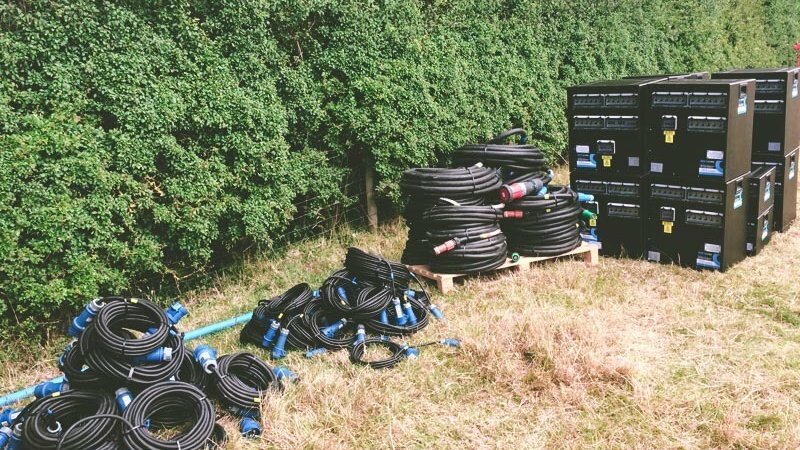 If your marquee isn't near a domestic supply we can supply you with a super silent event generator and all the cables necessary to bring the party to life. Ratings from 10Kva upto 200Kva.